Severe thunderstorms and tornadoes plow through the Midwest overnight killing at least 5 people and leaving a path of destruction 100 yards wide. In Millbury, Ohio, rescue workers continue their search for victims in the rubble of shattered homes Sunday. It’s too soon to tell whether anyone else is missing. 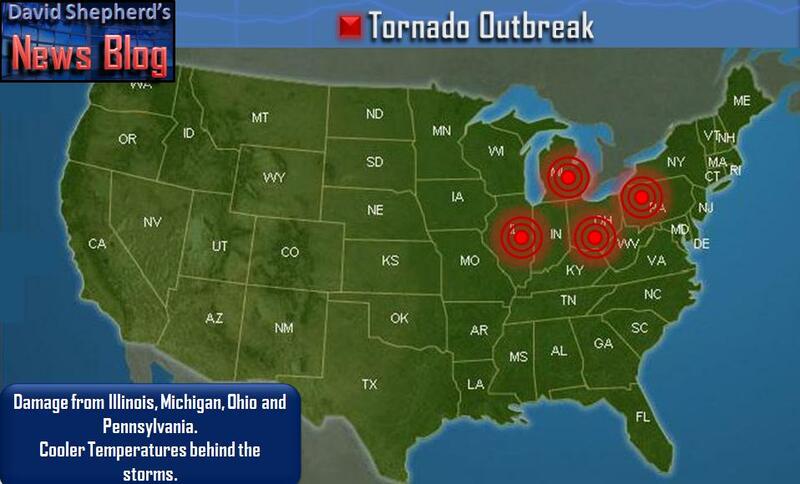 narrowly missing a heavily populated suburb of Toledo. The violent storms damaged at least 50 homes and another 50 were severely damaged. School buses and police cars were tossed in a mile long trail of devastation. 5 people, including 1 child, were killed. Police say, among those killed, a person standing outside of the police department and a motorist. 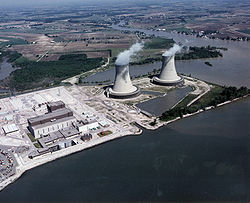 In Michigan, it was a terrifying night as violent weather ripped off siding on a nuclear plant. down as the high winds ripped off siding from one of the buildings there. were called in to inspect the plant to make sure there was no further damage. A public information officer for Monroe County tells NBC News the plant was expected to go back into operation soon. Power was knocked out to about 35,000 people nearby during the storms but it’s not clear if it was directly related to the shutdown of the nuclear power plant. In Dundee, Michigan, 11 people were taken to a nearby hospital with minor injuries. Meteorologists with the National Weather Service are looking into reports of a tornado touchdown there. More than 12 people were hurt in Dwight, Illinois where 10 homes and 40 mobile homes were destroyed.